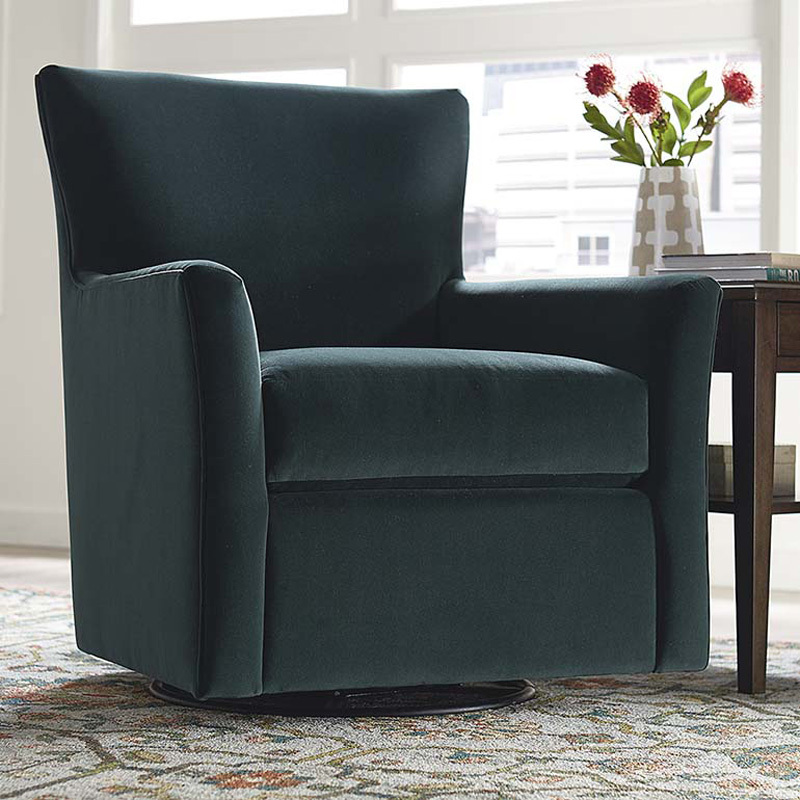 The Bassett 1201-02 Elle Accent Chair is available in Hickory Park's, North Carolina Furniture Galleries. Hickory Park may be restricted from showing prices, however please select the Click For Quote button and Hickory Park Sales and Design Staff will reply or please call (828) 322-4440 for more information. width from furthest point left to furthest point right of the piece, as viewed from the front Height Over All: 36.5"
overall weight of the piece, in pounds Seating Depth: 20.5"
Seat Cushion Style: Boxed Loose Back Cushion Style: Tight Diagonal Dimension, Delivery Clearance: 33.5"
This is a moderately scaled accent chair with a slightly flared arm, padded back, a loose weltless cushion and tapered wood legs. Available as a stationary chair as well as a swivel glider. Available in fabric and leather. 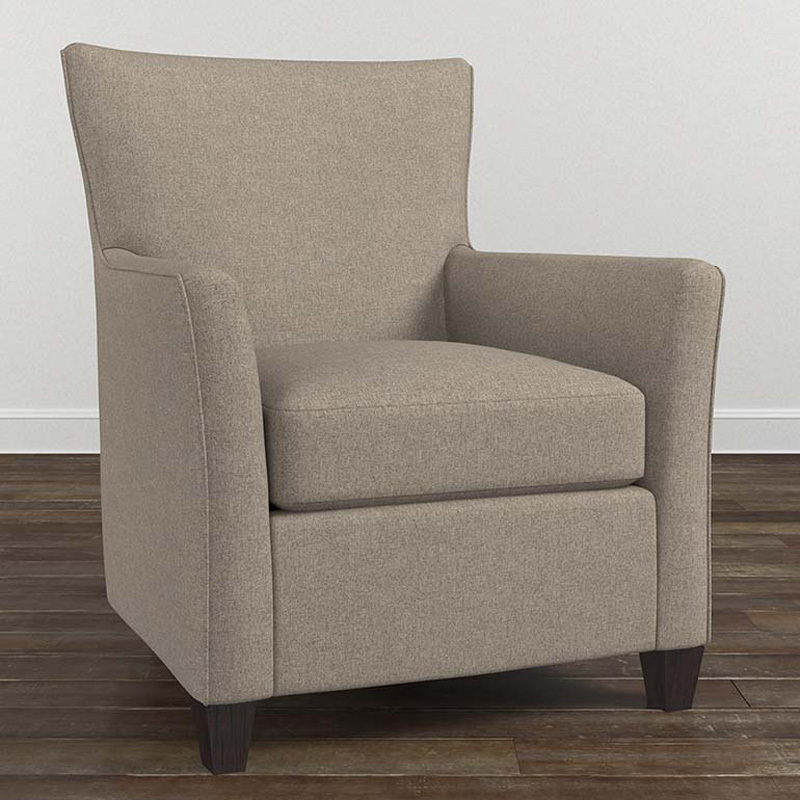 Click here to receive price quote for Accent Chair 1201-02 item.